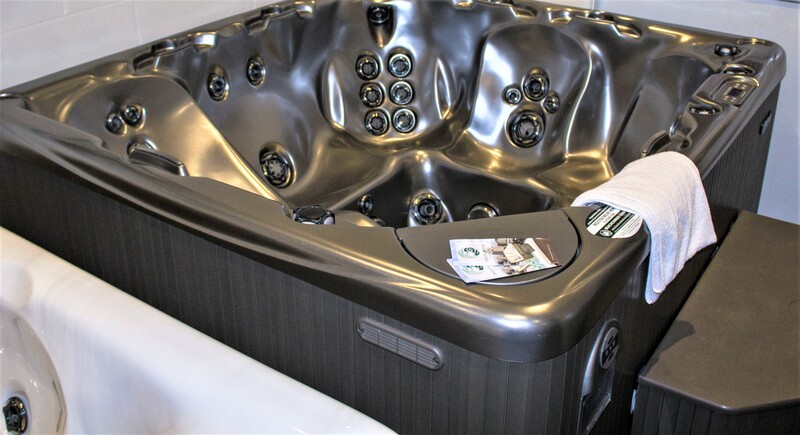 With the 7 series, you not only get the extra-large Flexjets together with enhanced contoured seating and an illuminated Roman Arch waterfall that are in the 5 series, but even more jets and a second massage pump. The 7 series also features the Eclipse lighting package, which illuminates the integrated handgrips around the waterline. It features the 24 hour circulation Hush pump. All 700 models feature the fully insulated, economical to run HYBRID system. LEEP models are insulated on three sides and the bottom with the working parts housed in the fourth wall. This gives ease of access and also allows these models to be more economical to buy. HYBRID models are insulated on all four walls and the bottom giving maximum insulation and low running costs. The working parts are housed under the integral step unit. 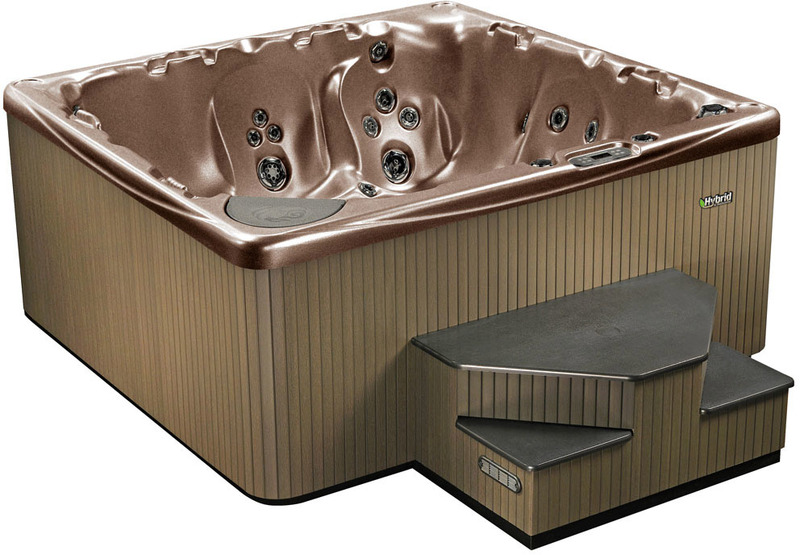 For those who like to entertain, this beautiful and highly efficient tub provides the perfect destination. The 750 is loaded with the most features for incredible hydro massages, luxury seating for 8, 1 cooling seat, and up to 192 fully customisable jet. Just be careful, once people enter this vacation, they may never want to leave. With up to 183 fully customisable jets to create an incredible hydro-massage experience, seating for 6, one cooling seat and 403 gallons of crystal clear water, heaven is right outside your door. This energy efficient oasis is the perfect way to disconnect from the digital world for some quality time re-connecting with your family or friends. 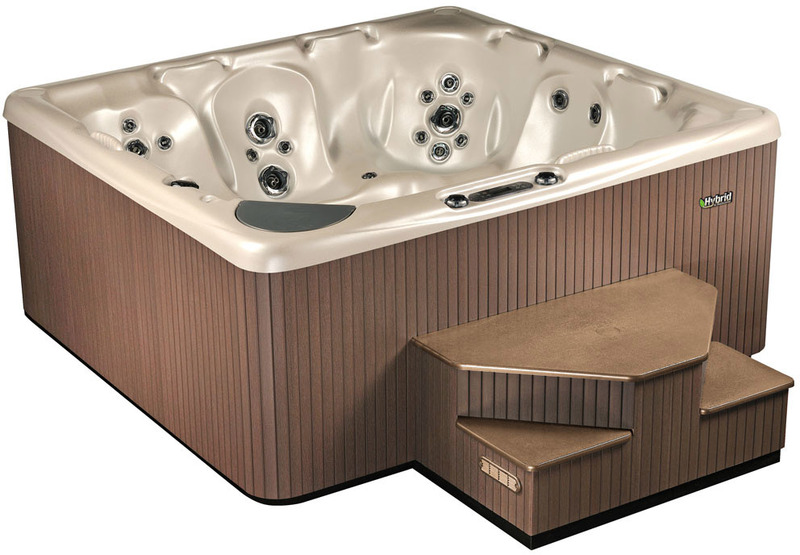 The 725 features a full-body massaging lounger, Reflex Foot Massage and seats up to 6 people with 1 cooling seat with up to 161 fully customizable jets to help you disconnect from everyday stresses.